The salted paper print was an early form of photograph with a distinctive textured finish. Despite being pioneered in Britain, the short-lived medium has never been the subject of an exhibition here – until now. We spoke to curator Carol Jacobi about ‘Salt and Silver’, a new show at Tate Britain that aims to bring this forgotten photographic technique to a wider audience. ‘Salt and Silver: early photography 1840–60’ features a very young, brief, distinctive form of photography – the salted paper print. This British invention, unveiled by William Henry Fox Talbot in 1839, spread quickly to Europe and beyond. The show contains a cosmopolitan array of prints from famous photographers such as Talbot, Hill and Adamson, Baldus, Nègre, Salzmann, Fenton and Beato, as well as wonderful less well known figures. It has been curated by me and Simon Baker in collaboration with the Wilson Centre for Photography. ‘Salt and Silver’ is the first exhibition in Britain devoted to salted paper prints and the first to display a substantial collection together. The focus at Tate is on their unique aesthetic and experimentalism. The method had its own specific aesthetic, a soft, textural, chiaroscuro effect, which was lost when it was replaced by other photographic processes. The exhibition also brings into view the inventiveness of these early years – the pictorial creativity brought to conventional subjects (portraits, landscapes, still-lives and scenes of daily life) and to less conventional subjects (a Harvard rowing six; an Arctic explorer; a woman soldier; the Parthenon in ruins, cities under construction or wrecked by floods). ‘Salt and Silver’ is part of a broader photography programme at Tate. I have specialised in 19th-century art for 25 years with a particular interest in innovators. A visit to the Wilson Centre in my first month here, in 2012, quickly led to the ambition to bring an exhibition of this very early form of photography to its country of origin. That question is difficult. For me it is simply the unprecedented luxury of being able see so many salted paper prints on their own in one space. If I had to choose a figure it would be the Franco-American, archaeological photographer John Beasly Greene. His career was short and dangerous, he died at 24, but he challenged the trend towards clarity that dominated his field. 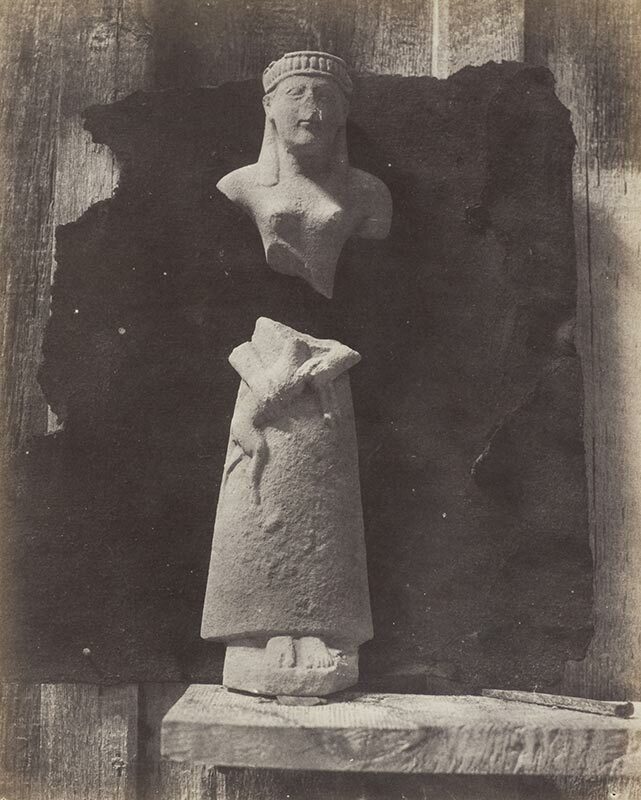 Instead, he used the limits of the medium – burn-out, shadow, halation and the beautiful grainy texture of the print itself – to explore the poetic ambiguity of Egyptian sites. I always admired the work of Talbot, Fenton, Tripe, Nadar and so on, but there are several photographers who are only just becoming known. Jean-Baptiste Frénet’s natural and emotionally complex family groups, such as the one used on the poster for the exhibition, were only rediscovered this century. His portraits, along with those of Hill and Adamson, Fenton, Nadar and others, banish any preconceptions we might have gained from later photographs that the people of this historical period were stiff, stuffy or different from us. To be honest, this project has felt more like a series of opportunities than challenges. Working with the collection at the Wilson Centre of Photography has been fascinating, and the team there a constant support. If I have worried about anything it has been doing justice to the works and succeeding in opening them up to the wider publics that they deserve. How are you using the gallery space? What challenges will the installation pose? The salt prints that survive are susceptible to light and can only be on view for limited periods. We have designed and lit the space carefully so that they can be seen safely and at their best. We want people to experience the singular effect of encountering salt prints face to face rather than as reproductions. Which other works would you have liked to have included? Some salt prints are too rare and fragile to show at all, of course, and appear only in the catalogue, but we have an unprecedented wealth of examples here. 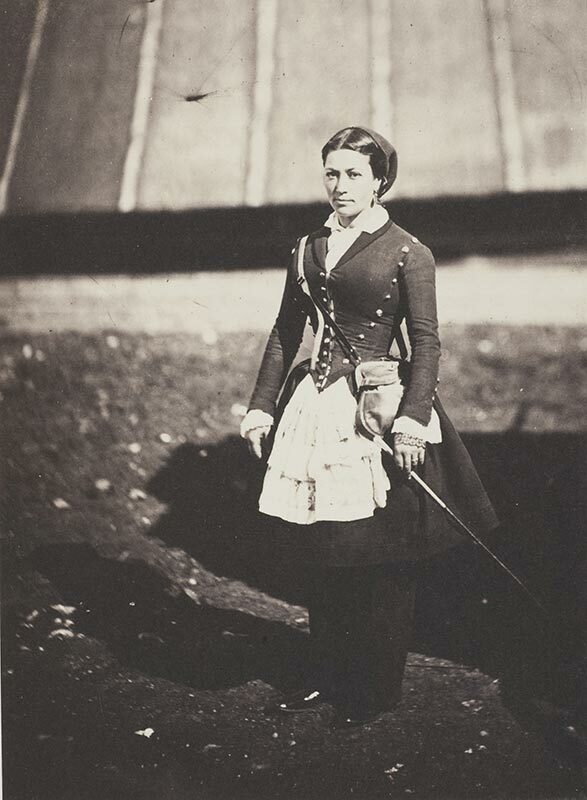 ‘Salt and Silver: Early Photography 1840–1860’ is at Tate Britain, London, from 25 February–7 June.